Our Vintage tax team just finished our eleventh tax season and completed over 200 returns this year. But next season will be very different due to the Tax Cuts and Jobs Act passed late last year. The new changes include an overall reduction of tax rates, elimination of personal exemptions, increase in the standard deduction, and other changes for small-business owners and corporations. We’ve been taking advantage of the new law since before it was signed in order to help reduce our client’s tax bills. In looking ahead to the 2018 filings and the impact of the new law, we’ve compiled some analysis based on the returns we prepared this year, and the results were quite intriguing. In 2017, more than two-thirds of our tax prep clients itemized their deductions, as opposed to taking the standard deduction. 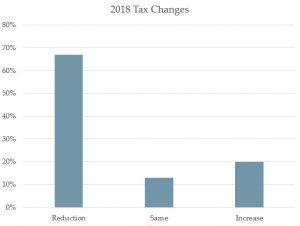 If their situation were exactly the same in 2018, only 28% would be itemizing, a significant reduction due to the new tax law. That being said, the strategies for itemized deductions have changed. See our blog article on New Tax Strategies for ways to reduce your tax bill. One of the questions we often hear from clients is whether they’ll actually receive a tax cut given the changes. And the good news is that about two-thirds of our tax prep clients would see a tax cut in 2018. Those cuts range substantially based on varying client situations. We estimate that 13% of our tax clients will see their tax bill remain about the same. Unfortunately, around 20% of our clients will see a tax increase under the Tax Cuts and Jobs Act. In particular, we anticipate that our clients who file as single are more likely to see a tax hike. The loss of personal exemptions, smaller increase in the standard deduction and the structure of the new tax brackets tend to hit high income singles harder than joint filers. Some filers may see an increase as a result of the elimination of miscellaneous itemized deductions, elimination of the home equity loan interest deduction, and capping of state and local tax deductions. Regardless of whether you’re expecting a tax cut or increase, the importance of tax planning cannot be understated. 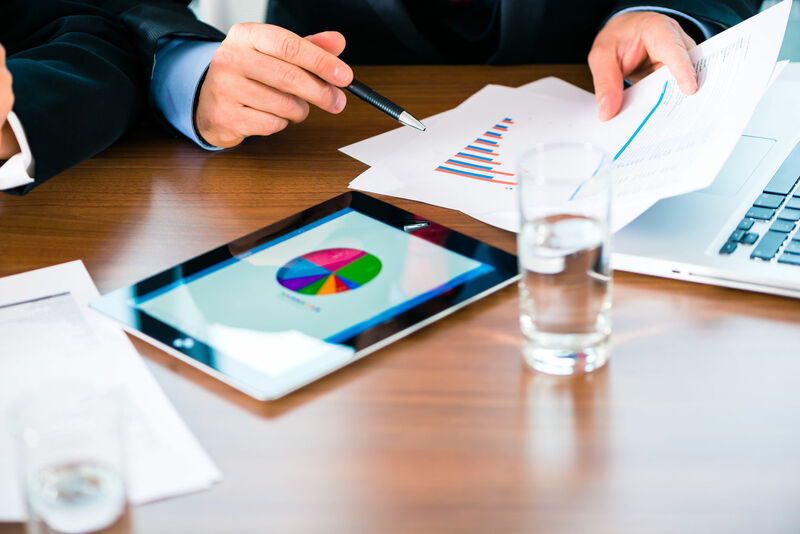 At Vintage, we have an experienced tax team and access to cutting edge technology to analyze your tax situation, both now and in future years, to develop a comprehensive plan to minimize your tax bills. Our tax team has had a few weeks to recover and it’s not too early to start planning for 2018. Feel free to contact any of them below to work out strategies for this year.